Abby Glassenberg and I first connected via Twitter earlier this year. While we’ve talked on the phone a few times, we finally got to meet in person recently in San Francisco. When we chatted she told me that she was dreadfully embarrassed by the mistake she’s sharing with us. But I know lots of creative entrepreneurs who have made a similar mistake. So kudos to Abby for being brave. A few months ago I was swimming in contracts. 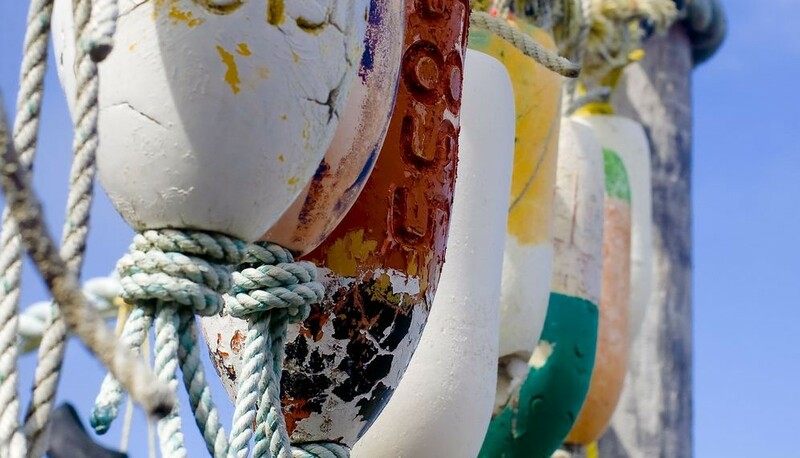 There was a day in which I had three contracts to read and sign – one to license my sewing patterns with a new company, one to teach an online class with that same company, and a third to teach an online class with a different company. I’d read over two of the contracts and then, in a moment of rushed overwhelm, I failed to thoroughly read the third. I skimmed it, signed it, put it in the envelope, and dropped it in the mailbox. Done. In July I flew out to teach the first online class. The night before the shoot the video director took me out for Mexican food. While we were chatting over tacos she asked me if this was my first experience teaching online. I said that it was, but that I was excited to be teaching another online class for different company next month. During the term of this Agreement, in the event any third party offers, requests, or solicits Contributor to design, create, develop, teach, or directly or indirectly appear or be filmed in, any class or instructional video (“New Project”), not otherwise prohibited by Section 4.3, Contributor shall first notify and offer Company right of first refusal to engage the Contributor for the New Project. 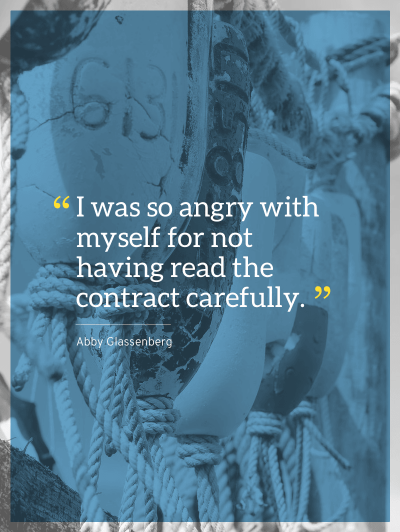 I was so angry with myself for not having read the contract carefully. To get clearance to teach the second class, I had to send the producer of my first class an official email asking permission. Thankfully the second class is on a completely different topic and isn’t something the first company would have been interested in anyway, so permission was granted, but I felt so trapped. Permission was granted, but I felt so trapped. Now my opportunities are limited in a way that I really don’t want to be, at least until the terms of the contract expire (thankfully there is a reasonable expiration date). Even thinking about this situation makes me so angry with myself for being in a rush. I’ve been in the craft industry for ten years and have signed contracts for books, magazine articles, and licensing deals. I should have known better. Thinking about this situation makes me so angry with myself for being in a rush. Had I noticed this first right of refusal clause I would have negotiated to have it removed from my contract or thought twice about working with this company. Going forward I’m completely committed to taking my time and reading my contracts thoroughly. Even if it delays the start date of the work, contracts should never be rushed. Creating a contract review process will not be fun. Having a system also gives you something to point to when you need more time to finish reviewing. Because you can tell them what you need more time to research, investigate, or consider. This shows that you aren’t procrastinating, but assuring that signing this deal is the best move for your business. Because you should never sign a contract you don’t understand! 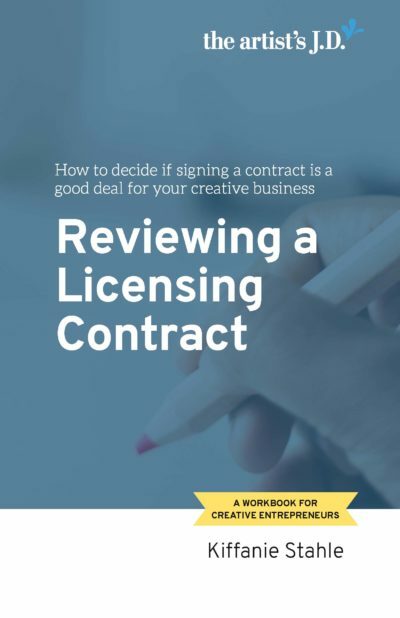 Enter your email to download a workbook that will help you decide if signing that contract a good idea. 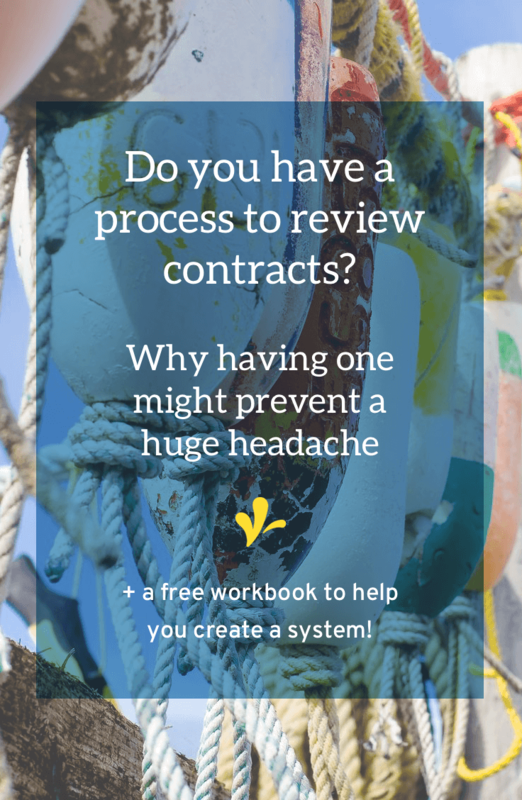 The workbook also outlines my contract review system and gives you a checklist to review your contract. Write a canned response that you can send to the other side when you are given a contract. In this canned response let them know that you need a couple days to review the contract. And that you’ll let them know if you have any feedback. 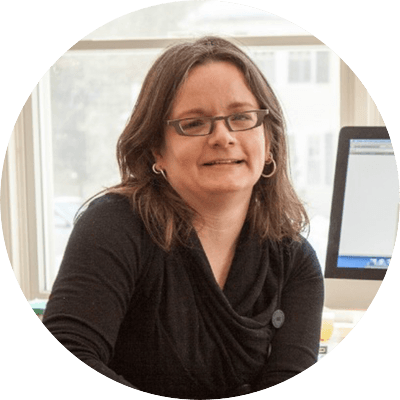 Want to connect with Abby? You should join the 7,000 readers who currently receive her weekly newsletter containing the best in sewing, blogging, and small business. You can sign up here.